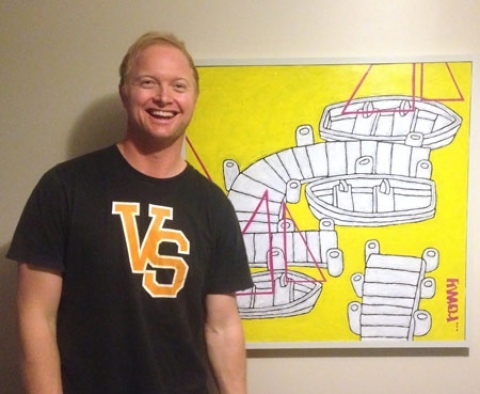 Todd ‘Romy’ Romanowycz is one of Eyre Peninsula’s most exciting emerging visual artists. Based in Elliston on SA’s wild west coast his award winning work is inspired by surf and street culture. Romy’s bold and bright acrylics on perspex are a quirky and surprising take on everyday objects that will stop you in your tracks. We’re slightly biased though as Romy is the creator of this year’s specially commissioned SALT Festival poster image!